The Engineering Services Examination (ESE) is one of the most popular examinations having the largest number of applicant belonging to the engineering disciplines; for recruitment to various posts under several ministries in the Government of India. It was earlier known as the Indian Engineering Services (IES) Examination. Every year the Union Public Service Commission (UPSC) announces the Engineering Services Examination (ESE) through its Notification inviting eligible candidates to appear for the examination. 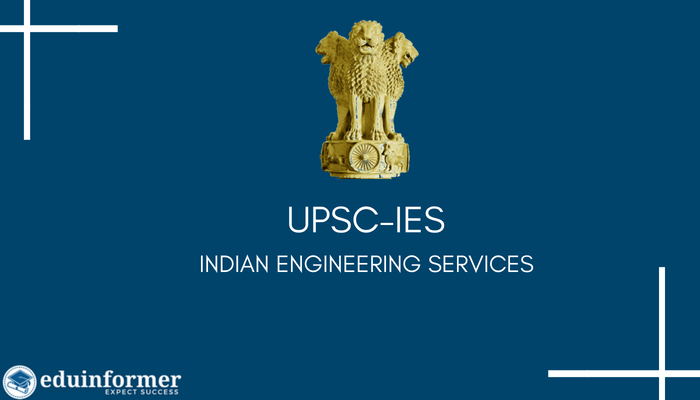 The ESE is conducted by the UPSC for recruitment of engineers who are posted in the various departments under different Ministries of the Government of India, as Class – 1 officers. Some of these departments are Indian Railways, Central Power Engineering Services, Indian Defence Service of Engineers, Public Works Department, Central Water Engineering, Central Engineering Service, Indian Telecommunication Service, Indian Ordnance Factories Service etc. 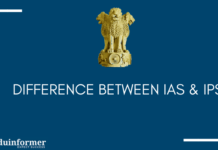 The detailed information for ESE is given on its website, upsc.gov.in. The last date of submission of online applications is generally the third week of October. The online application process begins about a month earlier. The Admit cards are dispatched to the candidates about a month to a fortnight earlier to the day the Preliminary examination is scheduled. The ESE preliminary examination is held in the first week of January on a Sunday. The number of position to be filled up varies, but generally it is 500 to 600.
Who is Eligible to apply for IES? Have a degree in engineering from a recognized university or other educational institutions. Have completed 21 years of age and must be below 30 years of age on 1st august of the examination year. After the Preliminary examination, candidates who qualify will again appear in the Main examination. 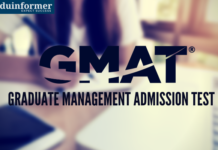 The Preliminary examination comprises of two papers, which contain objective type Multiple Choice question and the answers are to be marked in the answer sheets provided. The Main examination has two papers in the Engineering discipline chosen by the candidate. These questions are of the conventional type requiring longer answers to be written on answer sheets. The candidates who clear both these examinations are ranked in the merit list, and called for the Personality Test which comprises of a personal interview. India is a large country in terms of population and geographical area. Yet the people are poor and the standard of living is pathetic. People in the rural areas which constitutes more than three-fourth of the inhabitation, are still deprived of basic amenities like clean drinking water and electricity. The Industrial Policy of the 1950’s brought industrial development in India with massive large-scale industries being set up by the Government of India. However the pace slacked off and the rising population of India brought the progress to naught. The Government in recent times has taken many initiatives to make India a developed economy. Building on the success of the technological manpower available in the country which was able to send a satellite to moon and mars, and has developed ICBMs, India is poised to become the fastest growing economy. However, there cannot be any lop-sided development. The infrastructures must be in place, and the masses must be able to enjoy the progress in terms of transportation, railways, power, irrigation, and other basic infrastructures. The Government of India manages the country through it huge army of civil servants or bureaucrats and government employees. It requires engineers to look after its constructions, installation and development of facilities for its citizens. Towards this end, th GOI through UPSC, recruits able technical officers through the IES examination. These engineers work under the various departments and ministries of the GOI. They manage large Public Sector entities like Indian Railways, as well as contribute in the Defence Services where certain jobs are of technical nature. These departments range from the Public Works Department to Power and Telecommunication sectors of the government. These help in enhancing the GDP of the country, makes available employment opportunities and brings prosperity to the nation. As is evident, the role of Indian Engineering Services is much more crucial than the Indian Civil Services. The latter only helps in administering of the law and order, and implementation of government schemes and objectives. In contrast, the IES helps in production of goods and services. It directly brings out the benefits that a citizen needs and deserves. If you look at the standard of living and life-style of the developed countries, you will notice that it is the result of technological innovation, resources and advances. Human progress and development is directly linked with technical or engineering developments. Not just industries, but engineering services affect agriculture, education, standard of living and life-style of people. Looking into these, an aspirant of Indian Engineering Services examination can easily understand how important and vital IES is for the growth and development of the nation. Because of the IES, Indian railways run smoothly and are expanding their footprint to cover more areas. The power supply in every home is ensured by officers selected through the Indian Engineering Services. So is the case with drinking water, the supply of which cannot be imagined without the IES engineers. Every Indian Engineering Services officer has ample chance and opportunities to contribute directly to the development of the nation. Indian Engineering Services is not just a job, but a career that brings respect and opportunity for service to the nation. Indian Engineering Services (IES) opens a gateway of opportunities for an engineering graduate in India, irrespective of the rank of his alma mater. Thus it provides a level playing field for engineering colleges and institutions. One need not necessarily be an alumnus of a top engineering college to make it to the top government engineering jobs. However, an aspirant must remember that it is his rank in the examination that will give him the choice of his career. Yet the options it offers are immense. Opportunity to Serve the Country and its Citizens : The first benefit is the opportunity to serve the nation directly with his contributions. There is no end to what his initiative, ingenuity and creativity can bring to the table. The engineers who join the government can mobilize resources of the magnitude that are not available in private sectors. Their works directly affect the lives of millions of Indians, whose progress and development depend on the projects handled by these engineers. Job Security : The second advantage is the job security provided by the government jobs. Even during the worst of recession, when the private sector are indiscriminately cutting down workforce and downsizing their operations; the government engineers fear no such threat to their jobs and livelihood. Also their careers are not dependent on the whims and fancies of the senior management. There are several safeguards that protect their rights as employees. Social Security : The third advantage is the perquisites that come with a government jobs. Not only the medical expenses of their families are taken care of, but they are assured of life-long pension for themselves and their spouse and children till they attain the age of majority. Thus government jobs offer excellent social security that is not available elsewhere in India. Housing, Transportation and Other Perks : The government provides the best of accommodation to it engineers wherever they are posted. Even in metro cities government establishment like the Defense services, railways, Public Works departments, Telecommunication and other top government establishments and departments have their housing facilities in the prime locations. Depending on the location where you are posted, you can be assured of decent housing facilities at just a nominal rent deducted through salary. In case of transfers liberal benefits are given for travel of self and family as well as personal goods. Rest house facilities are always there at the disposal of the officers during their transfer, official tours and even holiday travel with family. For seniors who have completed certain years of experience, a vehicle along with staff driver is always placed at his disposal. There are several other perks of working in the government that any other private employers cannot match. Growth Opportunities : The government sectors provide the ultimate growth opportunities which are based on job performances. The evaluation and appraisal of job performance is fair and based on the services put. It is not arbitrary or based on the any other criteria like personal background or relations with the senior management. One can always say that the sky is the limit for growth opportunities in government sector. There are also less of heart-burns and there is absence of the dog eats dog atmosphere that is typical in private sector. The salaries of every employee is fixed and known to others. There is total transparency in terms of the emoluments received. Another significant aspect of a government job is the respect that one commands and the standing in the society. Even after retirement, a person is known for his designation and the roles he had taken up during his tenure in the bureaucracy. The successful candidates who pass the IES examinations have the brightest opportunities and the widest range of job and assignments available to them. The successful candidates are awarded posts in different departments according to their marks in the merit list, candidates’ preferences and their medical fitness. After joining as Asst. Executive Engineer, they can ultimately aspire to become the Managing Director or Chairman of the various technical bodies and organization of the government. Initially they are designated as Assistant Executive Engineer in the different departments where they are posted and which come under the jurisdiction of the Central Government. After acquiring an experience of 3 to 4 years, they are promoted to the post of Executive Engineer which is equivalent to the Under Secretary in the ministries of Government of India. Later in their career, after gaining about 18 to 20 years of experience, they can get to be promoted to the post of Chief Engineers Level-I. By the time they acquire 30 years or more of experience, they can reach up to the position of Secretary to the Government of India in the ministries where they work. This is the highest position in Indian bureaucracy. Others may get posted as Heads in the organizations that are created under a ministry. These can be statutory bodies or others which are made by the Acts passed in the parliament or others that are created as Public Sector enterprises. Indian Ordnance Factories Service AWM/JTS. How to Start Preparation for IES? To get into the Indian Engineering Service is every Indian engineering students dream. The ample opportunities that it provides for different kinds of assignments, is what thrills an avid engineer. In IES, every day provides opportunity for learning something anew. However, clearing the IES examination is a tough nut to crack. This is considering the fact that the competition is intense in this examination, conducted by UPSC every year; as most engineering students all over India, appear in this examination. Before starting to prepare for the ESE, a candidate must be fully aware of the examination pattern. They must also be aware of the syllabus for the examination. The ESE comprises of 2 stages of written examination. The first stage comprises of a Preliminary Examination; which has Objective Type Multiple Choice questions. The candidates have to select the correct option from those given along with the particular question. The examination consists of two papers. Paper-I is of 200 marks and Paper-II is of 300 marks. Those who qualify for the Main examination will have their marks obtained in the Preliminary Examination added along with marks obtained in the Main Examination to arrive at the final ranking in the Merit List. Paper-I is of 2 hours duration and has 200 questions. The subjects tested are General Studies and Engineering Aptitude. Paper-II is of 3 hours duration and has 300 questions. This paper comprises of the Engineering subject chosen by the candidate. Negative marking : It is important to note that one cannot tick the choice of answers randomly or mark answers which the candidate may be unsure of. To prevent such shots in the dark, there is negative marking. For every wrong answer, 0.33 or one-third of the marks of that question are deducted. The second stage or the Main Examination is only for those who qualify in the Preliminary examination. This examination has conventional questions which require detailed or essay-type answers. Those who qualify in the preliminary examinations are admitted in the Main Examination. The number of such candidates is generally 6 to 8 times the total number of vacancies available in that year. The Main Examination comprises of 2 papers of the opted Engineering discipline. The engineering disciplines that a candidate opts for can be Mechanical, Civil, Electrical or Electronics and Communication. Both these papers have conventional questions related to the engineering discipline that the candidate has opted for. Each paper, i.e. Paper-I and Paper-II, is of 3 hours duration and contains 300 marks. The third stage comprises of the Personality Test; which actually is a Personal Interview of the candidate. This is of 200 marks. Candidates who qualify in the Main Examination are eligible to appear in the Personality Test. The total number of applicants short-listed for Personality Test is about 2 or 2.5 times the number of vacancies that come up in that year. When to Start Preparation for IES? Starting at the earliest is the best strategy. Since the curriculum and questions in ESE are similar to what an engineering student comes across in their regular classes, no separate effort is required. The IES aspirant should develop a proper study schedule while undergoing his engineering course. Weekly revisions are a must, as one tends to ignore the earlier course materials and focuses on his current assignments. Getting the basic concepts clear during the regular classes will be of great help. This should be followed by regular exercises and preparing well for the tests during the semester. 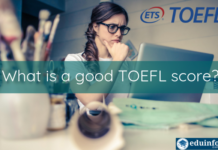 A study of the previous years’ examination papers will make several things clear, and make the aspirant familiar with the examination pattern and questions. He will be better prepared to write his answers in a way that fetch him the maximum marks in the main examination. What is important is, not just knowing the answers, which works well in the Preliminary examination. For the main examination, it is also important to deliver the answers in a proper format and packaging. What Should be the Preparation Strategy for IES Exam? The preparation for the Engineering Services Examination need not be a one-shot separate process. It can be integrated with one’s study of engineering curriculum. It is necessary to have strong foundation of the fundamentals. This can go with one’s study concurrently during the first, second, third or fourth year of engineering. The preparation for this examination is a continuous process beginning from the first year of engineering to when a student has obtained his engineering degree. Many students take a drop after their final years, instead of taking admission in any post-graduate degree courses of engineering. They continue their preparation for GATE or Fellowship examination. The preparation for ESE can proceed along with during this period. To conclude, IES is of utmost importance to engineering graduates in India. It opens up the top job opportunities for them in the government sector. A career in the government sector is a very satisfying and learning experience. Even after retirement, people are given various assignments by the government and their experience and expertise are utilized. Apart from the tangible benefits that this career offers, there are innumerous intangible benefits associated which lasts a lifetime. This is one career that one can be truly proud of.